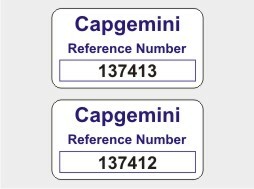 Our vinyl asset labels are suitable for mainly indoor applications, providing the perfect solution for labelling fixed assets, such as computers, printers and general office equipment. For slightly more demanding applications, where chemicals or abrasion are a factor, labels can be laminated for added protection, thus ensuring the print will not rub off over time. These labels are normally supplied on rolls, unless otherwise specified. 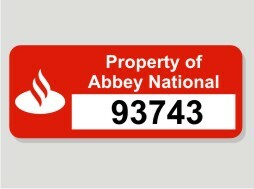 With over 5,000 stock cutters available, we can print the labels in nearly any size, including our most popular, which are 38 x 19 mm, 50 x 20 mm and 50 x 25 mm. To receive a quotation for this product, please call 01293 551520, or complete the enquiry form below. 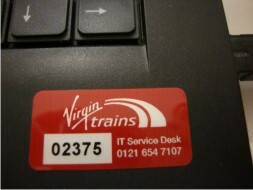 We can offer you a bespoke sticker solution, ask to view more suggested designs. Please complete the form below for orders specific to this product, or alter the field for a different product request.